A minimalist’s dream of a loft in the heart of Soho. I can imagine waking up here in a lazy sunday morning, taking a bath with Maison Louis Marie, Grown Alchemist, and Coqui Coqui products, brushing my hair with Mason Pearson's brush... Wearing my cashmere silk pyjamas, chilling in the Fritz Hansen chaise lounge, going through my wardrobe admiring my Khaite clothes, Proenza Schouler dresses, and Altuzarra bags! 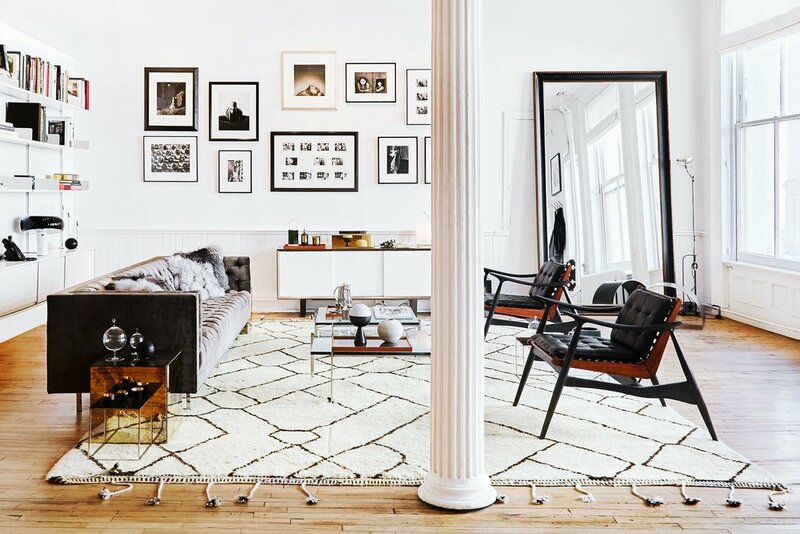 The Apartment by The Line is a concept store in the form of an actual New York City loft where you can buy E V E R Y T H I N G on display! Ah, heaven. Monday–Saturday: 11 a.m. to 7 p.m. / Sunday: Noon to 5 p.m.